Looking for a great read, something engaging and informative? In 97 Orchard Street, Jane Ziegelman explores the culinary life that was the heart and soul of New York’s Lower East Side around the turn of the twentieth century–a city within a city, where Germans, Irish, Italians, and Eastern European Jews attempted to forge a new life. 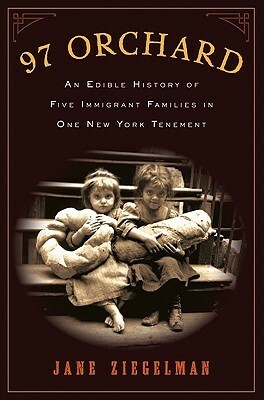 Through the experiences of five families, all of them residents of 97 Orchard Street (now the Tenement Museum), she takes readers on a vivid and unforgettable tour, from impossibly cramped tenement apartments down dimly lit stairwells where children played and neighbors socialized, beyond the front stoops where immigrant housewives found respite and company, and out into the hubbub of the dirty, teeming streets. Includes 40 recipes. Participants bring a brown bag lunch, the Society provides a beverage and dessert. There is no charge, but please register. By email: info@wiltonhistorical.org or call 203-762-7257. This event was posted in For Adults by Nick Foster.